What is the link between architecture and sugar cubes? Brendan Jamison has the answer! Have you ever thought about use of sugar blocks in architectural sculptures? 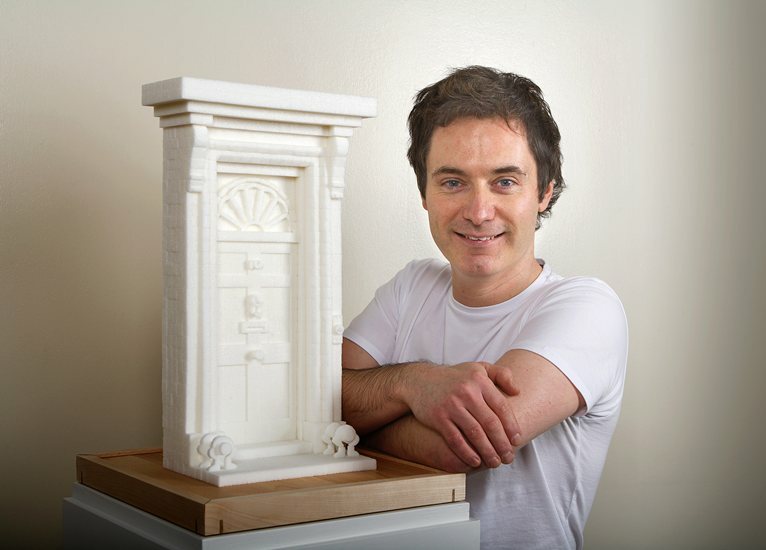 In 2003, sculptor Brendan Jamison developed a pioneering technique of carving blocks of sugar. The sugar cubes are fastened together with a special adhesive that absorbs in to the sugar and creates a permanent binding between the cubes. The sugar sculptures are fastened to a solid wooden base and presented within a clear acrylic display case. This prevents water or insects from damaging the sugar. In 2010, Jamison was commissioned by Native Land & Grosvenor to build sugar cube scale models of Tate Modern and NEO Bankside for the London Festival of Architecture. His carved sugar cube sculptures have been sold at Sotheby's (Bond Street, London) in an exhibition of contemporary art curated by Janice Blackburn. 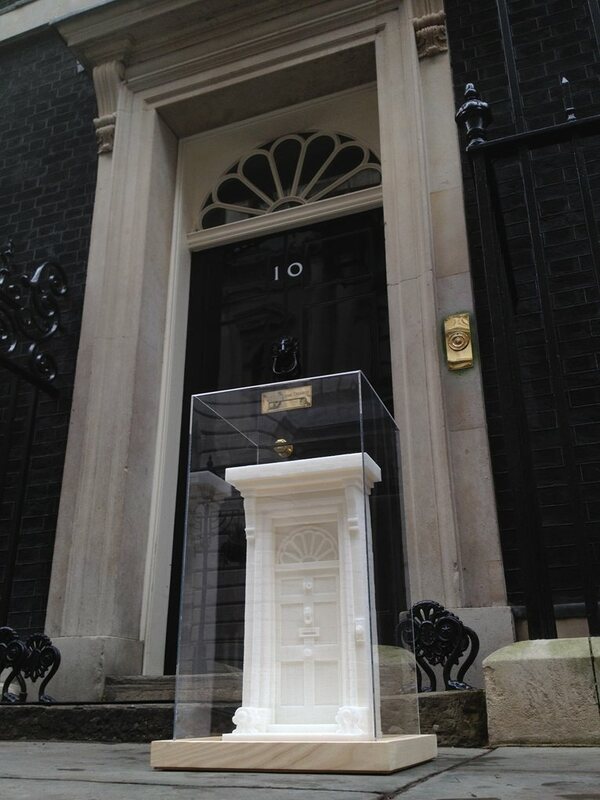 The London highlight of 2012 was a carved sugar sculpture of Number 10 exhibited inside 10 Downing Street, on display since February behind the real front door. In September 2012, Jamison was elected as a member of the Royal British Society of Sculptors and two months later elected to the Royal Ulster Academy of Arts. He has received 7 awards from the Arts Council of Northern Ireland and is represented in Ireland by Hillsboro Fine Art, Dublin. A new series of sugar carvings on the theme of 'Walls and Borders' is on show in Beijing at Creative Crossover China in the 798 Art District until 26 March 2013. Jamison works include the installation Great Wall of China, formed by sugar cubes and red powder. 16 x 65 x 85 cms. Born 1979 in Belfast, Northern Ireland, Brendan Jamison studied for six years at the University of Ulster where he gained a First Class BA Honours degree in Fine and Applied Arts in 2002 and then a Master of Fine Art in 2004. Over the past eight years, his artworks have been widely exhibited throughout the world with shows in Scotland, Wales, England, France, Germany, Austria, Sweden, Italy, America, Canada, New Zealand, India and China. He has also been awarded residencies in New Delhi and New York. In 2009 he was a visting lecturer at the University of Florida. That same year, a small Jamison work was entered into the permanent collection of MoMA, New York's Museum of Modern Art, as part of as part of the international unbound project titled 'A Book About Death'. as part of the international unbound project titled 'A Book About Death'. the international unbound project titled 'A Book About Death'.